It’s Friday! The best way to celebrate Friday? With ice cream. 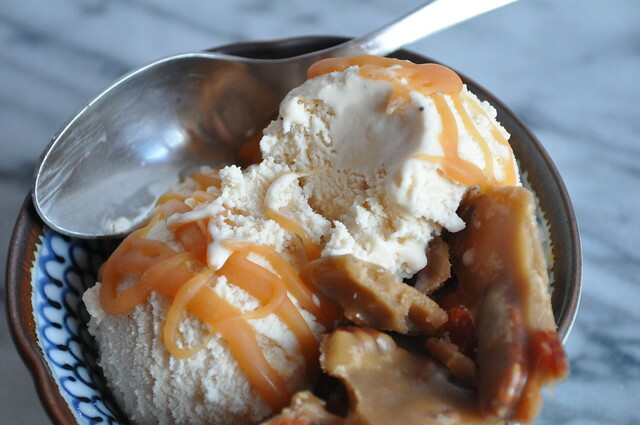 Salted Caramel Ice Cream. We can’t think of a better way to kick off the weekend. This ice cream is smooth, creamy, salty, sweet and incredibly delicious. Another thing we love about this recipe? You can name every. Single. Ingredient. Simple ingredients equal BIG FLAVOR. Everyone asks us about making ice cream, and trust us. IT’S NOT THAT HARD. All you need is an ice cream maker. You might be asking yourselves, an ice cream maker? That’s gotta be expensive. It’s really not, they have makers as cheap as $40 on amazon. So maybe this year, ask Santa and Chanukah Harry for an ice cream maker this holiday season so you too can follow along with these seductive recipes! 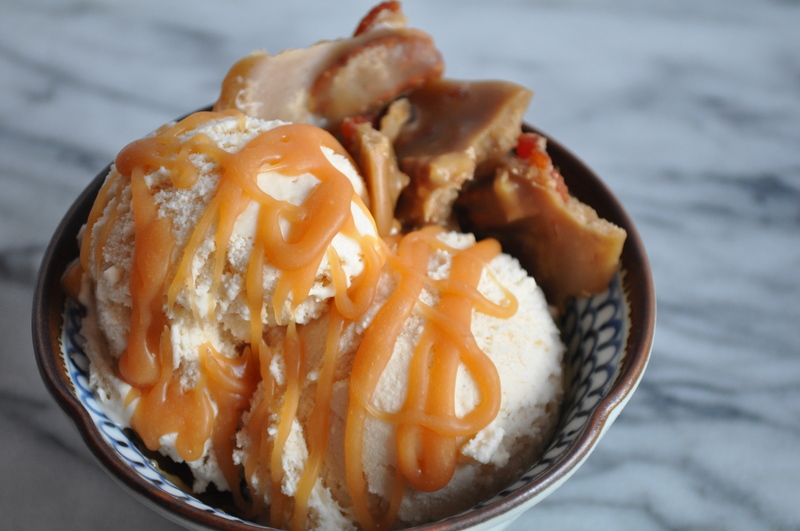 You will see in the picture that when we photographed our ice cream with a maple bacon praline, for this recipe was used in our epic Pork-tastic dinner. 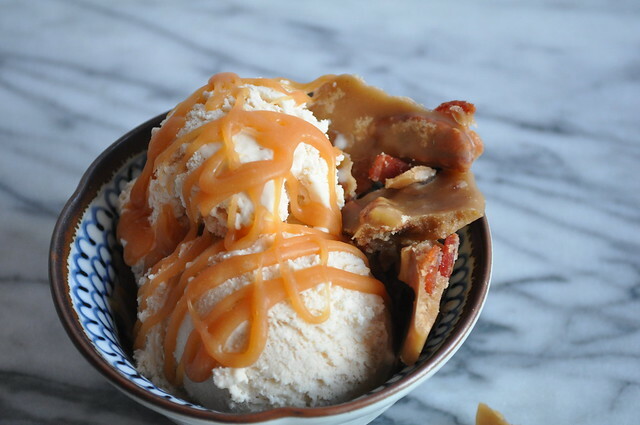 In a medium bowl, whisk together chilled cream, whole milk, vanilla and half of the salted caramel. Put in the fridge and chill until cold. Once the mixture is good a cool, pull out and give it a good stir. Pour the base into your ice cream maker and make according to your manufactures instructions. Just about when the ice cream is frozen add the remaining salted caramel (room temperature) to the mixture to create ribbons throughout the ice cream. 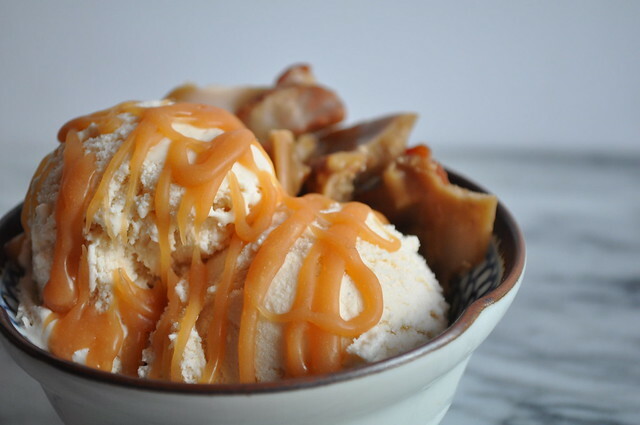 If you don’t want ribbons you can save the remaining caramel on top of the ice cream. Transfer to a freezer safe container and chill until fully frozen. 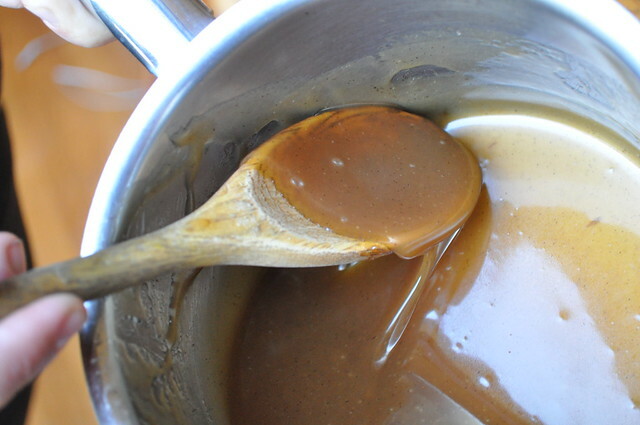 It’s still too hot here in LA to be in the kitchen, so for today’s recipe we have a almost foolproof Salted Caramel. 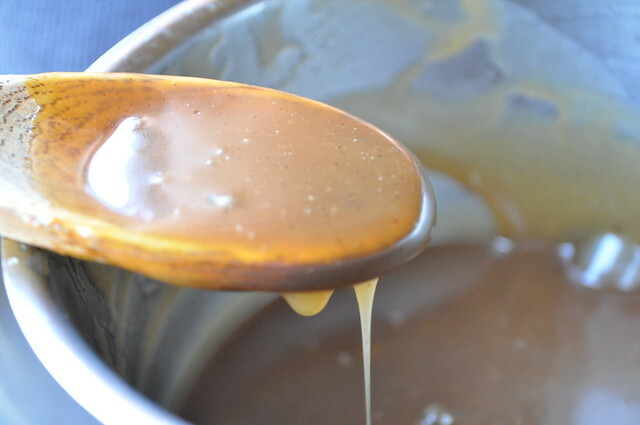 We’ve come across so many caramel recipes and they never turn out right, but this one, this one is AMAZING. 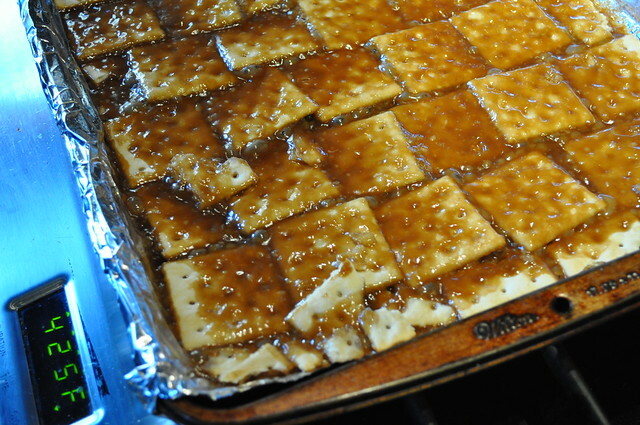 We’ve made this caramel multiple times and every time it’s perfect! We think it has to do with the warmed cream that you pour over the sugar and water. We promise you this recipe is nearly foolproof and everyone can make it! 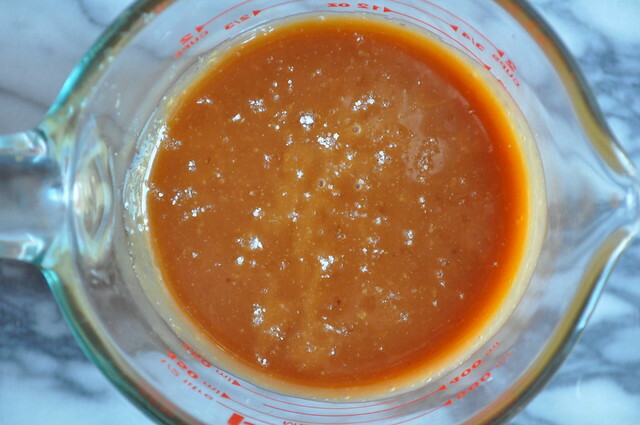 In a medium sauce pan over high heat, dissolve the granulated sugar and water. Stirring constantly. During that time, if the sides of the pans have sugar that start to crystallize, use a pastry brush dipped in water to remove the crystallized sugar. 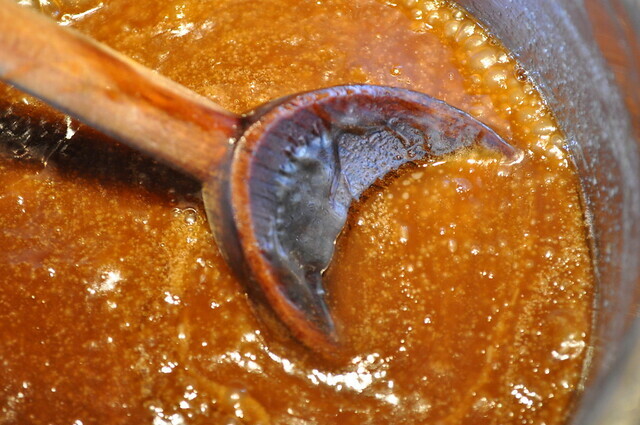 Continue cooking until the sugar starts to turn a deep amber color. As soon as it starts to turn, remove from the heat, immediately. Very carefully and slowly, pour the hot cream into the sugar mixture whisking/stirring constantly. Don’t be alarmed when this mixture starts to bubble, just keep stirring. Next, add the butter and a pinch or two of the fleur de sel salt. Stir until smooth. If desired, add 1/2 teaspoon or so of vanilla extract. Move to an air tight container, and allow to cool before placing in the fridge. It’s hump day and we have the perfect recipe to get you through your hump day blues. 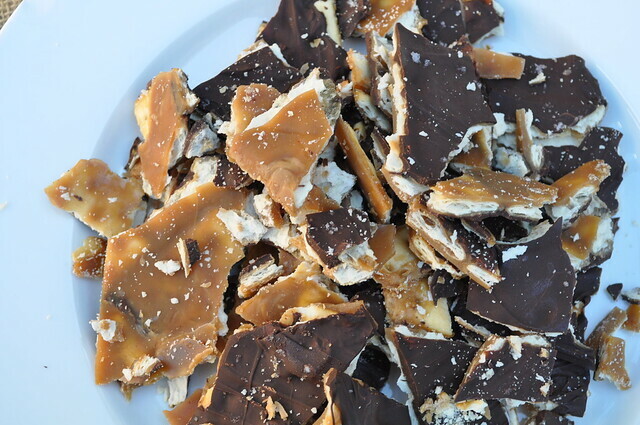 What is salted chocolate caramel crack, you might ask? 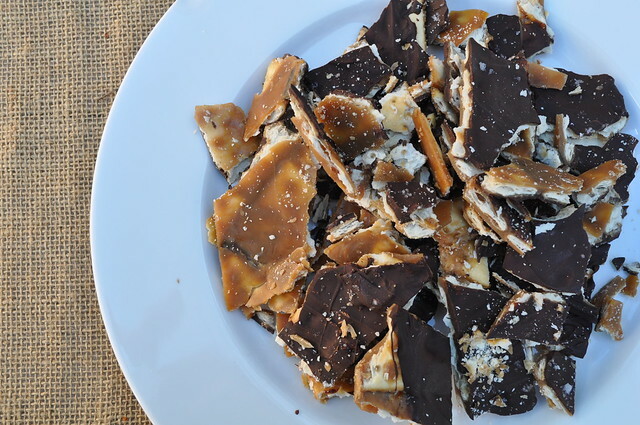 It is the most delicious blend of saltines, caramel and chocolate. 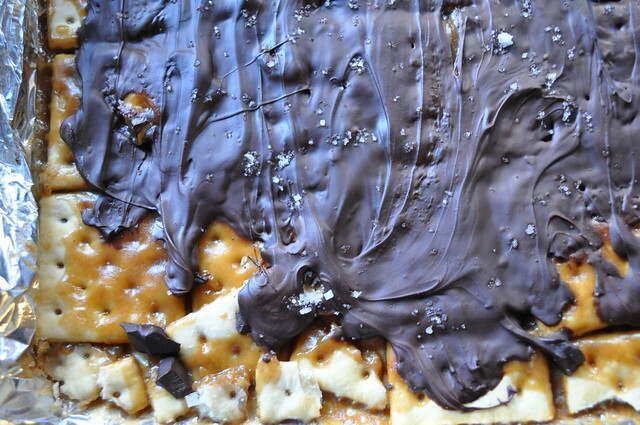 It’s the perfect sweet and salty snack. 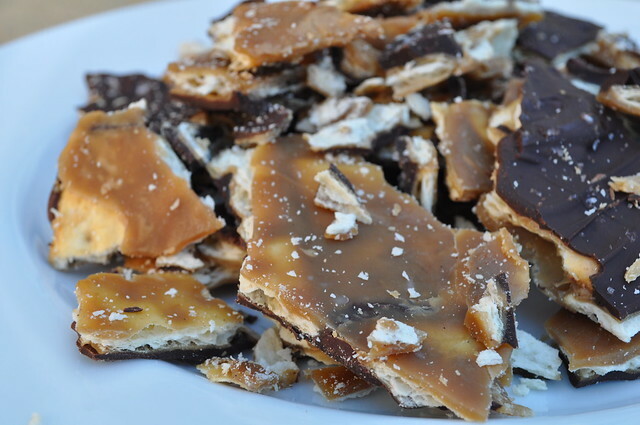 One thing we love here is eating salty crackers with chocolate, ever had Goldfish with Raisinettes..if not, get on that. Once you start eating this “crack” you literally can’t stop. It’s addictive. It’s honestly kind of dangerous. There are hundreds of recipes for this, but this is our take after we were inspired by watching the Cooking Channel’s Unique Sweets. 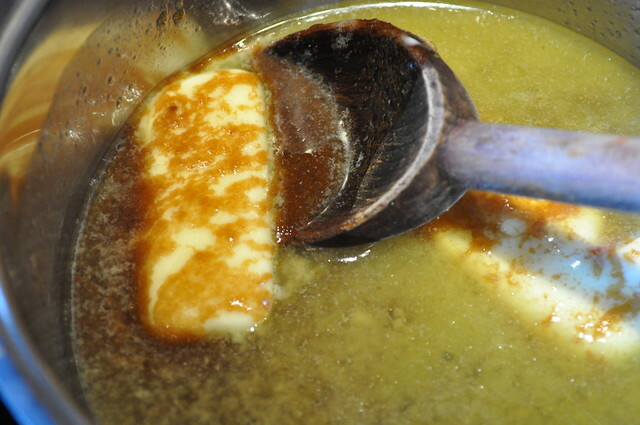 Combine the two sticks of butter and the brown sugar in a medium sauce pan. Melt over medium-low heat. Once the mixture is melted, cook for five minutes. The mixture should be thick and bubbly. 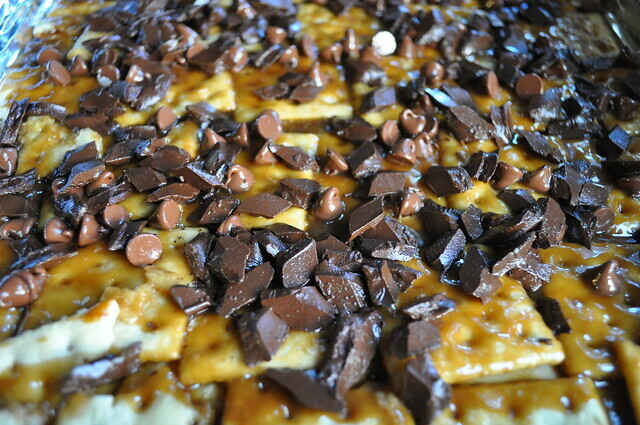 While the mixture is melting/cooking, line a sheet pan with aluminum foil and spray with baking spray. Lay the saltines down on the foil. When the butter and brown sugar has bubbled and melded together take off the heat and stir in the vanilla. 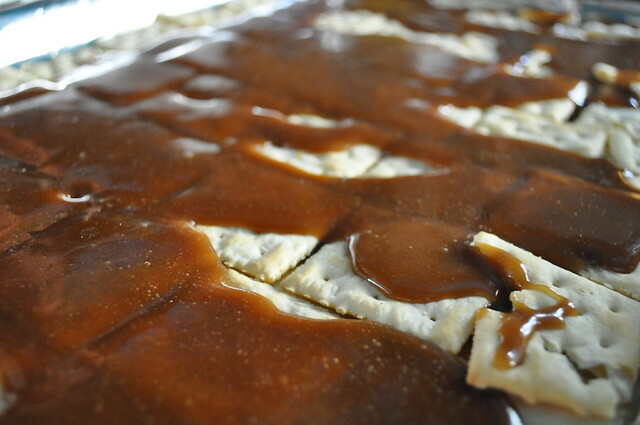 Pour the mixture over the saltines and carefully spread over the crackers. 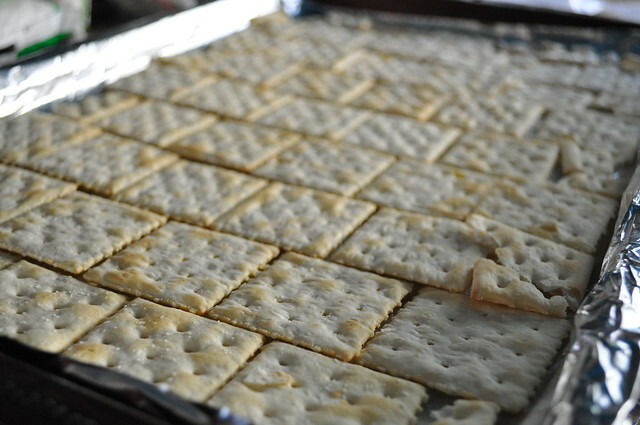 Stick the saltines in the oven and cook for 5 minutes. 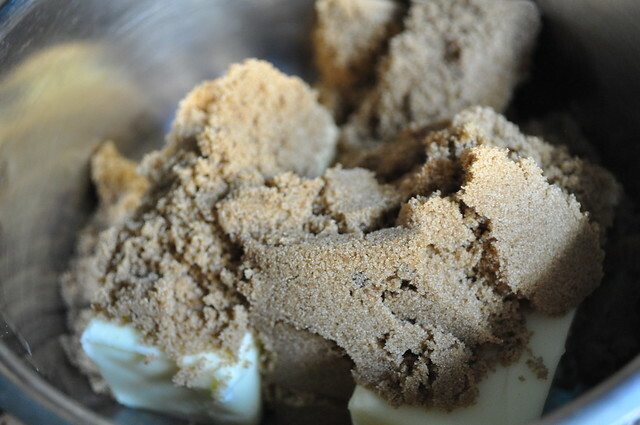 The mixture will be very bubbly and look amazing. 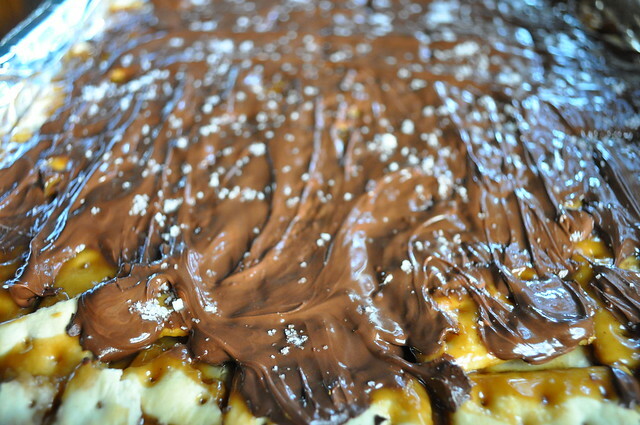 When the buzzer goes off, remove from the oven and sprinkle the chocolate over the caramel. Stick in the oven for 30 seconds to help melt the chocolate. Carefully spread the chocolate and allow to cool. 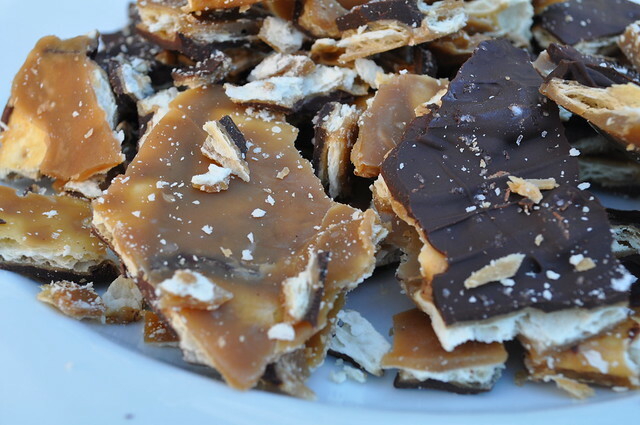 You can sprinkle a little Fleur De Sel on the melted chocolate for that extra salty bite! Break up the “crack” and and enjoy! You’re welcome. If these are 5 of your favorite words, then you might be Paula Deen. This recipe is made with love, so naturally that means it doesn’t have calories. Melt butter in a saucepan. Then add the brown sugar, keep stirring! Add maple syrup and extract, cinnamon, vanilla paste, and fleur de sel. Let it all meld together, then take it off the heat and let it sit for a minute. Add heavy cream while stirring, then VOILA! It is done and once it’s cooled some, taste it! Don’t taste when it’s hot, otherwise you’ll be calling it your favorite mistake, yup that what Sheryl Crow’s song is about.